I'm subbing for this week and I'm excited!! Here's my plan. UPDATE well it went SO well! The kids asked if I'd be back next week. Success? I think so! 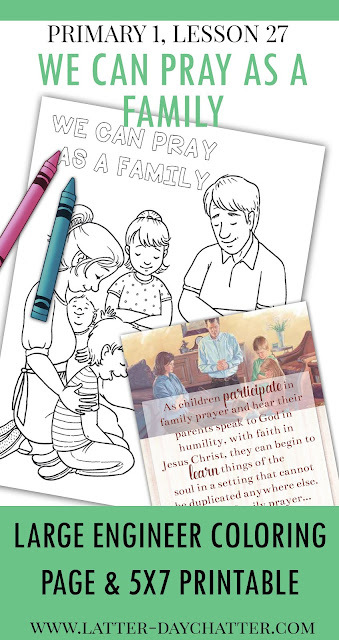 In addition to the coloring page below we also played with blocks because just like we BUILD a big tower one at a time we also strengthen our family one prayer at a time. Not sure if they got that but they loved playing with the blocks! This is an engineer print (18x24), print this up at Staples for about $2 and tape it to the floor or a table and let the kiddos color a massive picture. 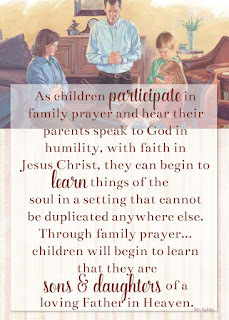 As children participate in family prayer and hear their parents speak to God in humility, with faith in Jesus Christ, they can begin to learn things of the soul in a setting that cannot be duplicated anywhere else. 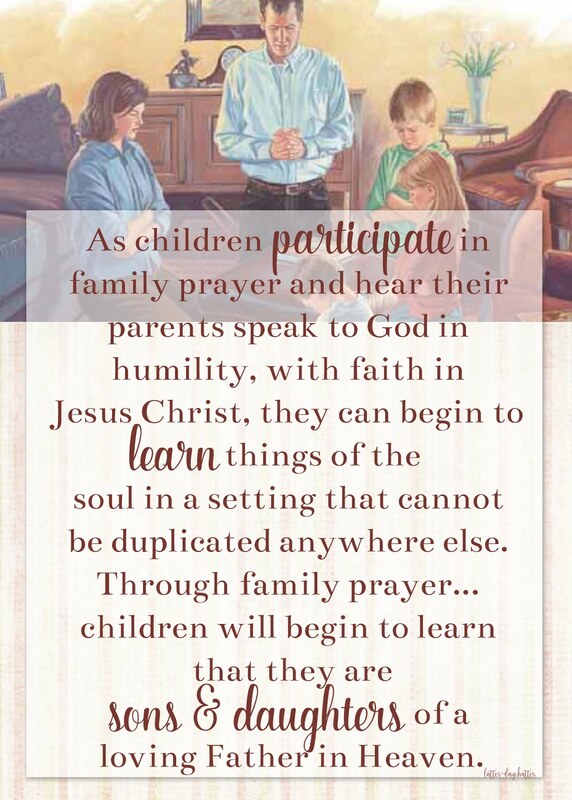 Through family prayer... children will begin to learn that they are sons and daughters of a loving Father in Heaven. YES LOVE this and have made a printable for you (download above at the top with the engineer print)! Best wishes on your lesson!